May 17, 2012 at 9:42 a.m.
I’m still trying to track down the right people to get a little better grip on what exactly is happening with the Big 12 and conference realignment as of today, but until I do, and before this thing gets too far down the road, let’s dive into a quick recap of what’s happened the last couple of days. First, and of varying degrees of importance depending upon your interpretation, new Big 12 commissioner Bob Bowlsby spoke with the USA Today on Wednesday about the conference’s plans for expansion. Bowlsby officially takes over on June 15 and somewhere in that same time frame, the BCS is expected to make final its plans for the future. Once both of those things happen, the Big 12 and the rest of the nation will be able to take a little more realistic approach to what’s next in the world of conference realignment. Until then, it will be a lot of talk and speculation, which is something that does not appear to bother the folks at Florida State. Despite many saying that the Big 12 reached out to FSU and some folks within the Big 12 saying that there have been no talks between the league and the Seminoles, Florida State’s leaders continue to paint a picture that they would be very interested in hearing what the Big 12 has to offer. For one, it could be one heck of an offer that’s simply too good to pass up. For two, it gives them at least a little leverage with the ACC, which finds itself very much on the brink of being where the Big 12 was about this time last year. Here are a couple of great links that can get you up to date regarding where Florida State stands. Finally, I know there were reports that said that the Clemson football program had been informed that the school was moving to the Big 12, but those, at least at this point, appear to be severely premature. Shocking, isn’t it? Wednesday, Clemson’s board chairman told The Post and Courier that the school had had no contact with the Big 12 and remained committed to the ACC. I know that semantics come into play a lot here and it’s entirely possible that “no contact” does not mean no contact, but, in this case, I believe it’s true. Although I’m still rolling my sleeves up for this round and have been reaching out to sources all over the country, one thing that seems to be solid is that Clemson will not make a move first. If Florida State goes and is looking for a partner, the Tigers could become interested in joining them very quickly. But a scenario that has CU as the first to leave seems highly unlikely. Again, that’s today. The ACC is in trouble and it is going to do everything it can to ensure its survival. Remember when it looked as if the Big 12 was dead because Texas and Oklahoma were headed to the Pac-10? That was when the Big 12 got to work and did whatever it took to keep Texas and OU and to keep the conference alive. I’m sure the ACC is willing and able to go to similar lengths to preserve itself here. If it can't, it could very well be the end of the ACC as we know it, as the Big 12, Big Ten, SEC and even the Big East could make quick and concentrated moves to scoop up many more of the league's schools. Although Florida State and Clemson are the two schools talking the most right now, that doesn’t mean that others aren’t working on things quietly and behind the scenes. It hardly matters now, but, if you remember, KU was awfully quiet during a good chunk of the realignment fiasco, but I can assure you that KU’s leaders were talking to people every day in an attempt to put KU in the best position possible. The desired outcome the entire time was for the Big 12 to survive, and it did. But there were back-up plans in place — several of them. Georgia Tech, Maryland, Rutgers, NC State, Virginia Tech.... each of those schools has been tossed into this latest mess in at least a couple of different places and there appears to be varying degrees of interest regarding a possible move. I reached out to sources at a couple of those schools and got the same answer at each — “things are very quiet now. Not much is being talked about.” That’s too be expected, of course, and whether it stays that way or changes will be determined by what happens in the next few weeks. Matt Tait, as always is on it ! ! ! Thank you sir. Can I just say how happy I am that for once we aren't talking about the impending doom that the Big 12 is facing. We can be glad that Nebraska is out of the big 12. You mean we won't get to hear Tom Osbourne throw about 4 other schools under the bus about why they left the Big 12 this year? Darn I was so looking forward to that. While I certainly think the Big 12 needs to expand back to 12 teams, the football championship game being such a big dollar item, I do hope we can bring in schools with a basketball tradition that rivals their football. Louisville comes to mind. And not that I have anything against Florida St. or Clemson, but they are a long way off, geographically speaking. Rutgers is just as far away but opens up recruiting into the New York market. Maryland is also just as far away, opens up D.C. recruiting and has a better basketball tradition. Here's a real long shot, how about Kentucky. They probably get more money in the SEC, but a K.U./U.K. basketball game every year, home and away, and maybe in a conference championship game, would rival a Carolina/Duke game. Every year. I do like the idea of Maryland but I think they either hold out for big 10 or only come to Big 12 if FSU and Clemson are part of the deal that way the Big 12 can make an eastern division to alleviate some travel headaches for Olympic sports. I agree with you over Maryland. Maryland, VA Tech and Virginia all deliver pretty much the same TV viewers. Thier values is greatest separated into three conferences. Let the SEC take one (VA Tech), the B1G take one (Virginia) and the Big12 take one (Maryland). Maryland would be a good #13 with GA Tech #14. After Clemson (#11) and FSU (#12). Then you wait for Notre Dame. If they come, they will insist on BC. If they don't come, then the Big12 decides if they want to stay at 14 or add two more teams to grow to 16 teams ( PItt, L'ville, Rutgers, Duke) like the SEC. Until Notre Dame decides, the Big12 will leave room. 1) How much better off are we (Kansas) than we were last year at this time. Its hard to imagine a scenerio where we, KSU, ISU and even Baylor are thrown under the bus and have to go Big East. *I'd like KSU and ISU to stay BCS, have no love for Baylor. 2) This is really FSU leveraging to get their Tier 3 rights back. The question I have is -- 1) do the other ACC schools cave to that pressure (they may not) and 2) does ESPN lowball the ACC w/regard to losing Tier 3 so as to force FSU into the B12? Fun. *Why don't we just turn this whole thing over to ESPN: "Why don't you just TELL US what you want the conferences to look like"
3) That said, if the B12 can get to at least 14 and add a southeastern wing with FSU, Clemson, Ga Tech and Louisville to go with WVU, we probably do take out the Big East (the former ACC will swallow up UConn, Rutgers and whoever else they can get thier hands on). 4) The Big 10 will eventually make at least 2 ACC schools offers they can't refuse, and one of them may be UNC. You may very well be right on ESPN, this may be a ploy to help them get an FSU vs. UT or FSU vs. OK each year, a match-up that no doubt has them salivating. It's actually rather disgusting how ESPN and the other networks are really the ones driving this whole nonsense. UNC and Duke would fit the Big 10 - easy W's in football while improving the level of basketball and the overall level of visibility of the conference. They might also be the two additions that gets the Golden Domers to come over. I still think that FSU is posturing for a better deal in the ACC and, as Matt points out, the ACC isn't going to go quietly into that good night. My preference would be FSU/Miami as additions so that we gain the entire Florida market. My best guess is that we'll be settling for something like Va. Tech and Louisville. However, our new commissioner gives me hope that something big still might happen. One school I'm surprised we're not hearing included is Virginia Tech. Obviously perennially a good football program, not bad at basketball (still don't know why they fired Seth Greenberg), and would make for a decent natural rivalry with WVU. I believe it's pretty well regarded academically as well. I think the biggest thing with VA Tech is that the SEC really really wants them and right now the only thing holding them back from getting them is the ACC. Which, if the ACC goes under (football at least) I think VA Tech goes to SEC. One "natural" rival that has been talked about briefly but not in depth (for WVU) is Maryland. They are very close together and used to have a pretty good football rivalry. If the ACC really does begin to unravel, maybe they become WVU's "travel partner"
I say throw kansas st out east, just to piss them off. Are there other things that would get you to shut up forever? What no adding Tulane to the conference? Huzzah! KU's 3rd season - realignment - has begun. And this time, we're not a bubble team. I don't see how FSU is anything less than a massive win-win for the B12 and FSU. FSU has a big brand and a big market. Even though TCU and WVA have been better in FB than NE lately, NE had a bigger brand. FSU's brand is probably close to NE's + it has a big chunk of the FL market. Plus, even though BB counts for jack, FSU BB is a major improvement over NE and it gives KU BB a toehold in FL which it never had before. FSU - OU, UT, TCU, WVa are all marquee FB games that would draw big advertising dollars. As for FSU, it needs money and is stuck in a weak FB league that could get raided by the B10 or SEc. Concerining the rest of the ACC and Big East - I see the B10 and SEC having the first picks if it looks as though the new BCS system will drive the creation of 4 superconferences. If that happens, like april28 said, the B10 probably takes UNC and Duke. Then it tells ND that its now or never. ND decides to honor the traditions of its B10 rivalries and goes to the B10. The B10 takes UVa, MD, or Rutgers. The SEC takes two from UVa, VTech, MD, or NC state. That leaves many good programs left on the table for the final five of the B12 expansion: Gtech, Clemson, Miami, NC State, Pitt, Rutgers, BC, LVille, etc. How about Duke, UNC, ND, and round it out with Kansas? That would make the Big 10 the undisputed best basketball conference ever. Why do you all want Duke???? Duke is basically Rice or Tulane with a great basketball coach. If Coach K had gone to either of those schools, they'd be winning NCAA Championships, not Duke. Also, MD will hold out for B10. And Va Tech will hold out for SEC. Agreed. In FB terms - which is all that matters in this - Duke is less valuable than Vandy. Ironically, it's their tie to UNC that will keep them in a BCS conference. You mean the same way KSU's tie to KU will keep them in the BCS even though I'm pretty sure if push came to shove KU would throw KSU under the bus....and it's probably the same in UNC's case as I doubt they wouldn't throw Duke under the bus if they had to to stay in the BCS. "Duke is basically Rice or Tulane with a great basketball coach." Before Coach K. that is exactly what it was. However, what their school is not worth in athletics they ARE worth in research dollars. When we say academics people say it does not matter, and to be honest, about 95% of the time that is ABSOLUTELY the truth. For some schools, abeit RARE, it is untrue. Schools like Stanford, Columbia, Harvard, etc. bring in so much money with research dollars that their academic departments rule their campus, not athletics. It is a couple years old, but not much in that list has changed (check out page 16 and keep in mind that is 1k per). I think it approached 6 billion endowment last year, but somebody might check me on that. Either way, Duke is one of the rarest schools in that its athletics really are second class to its academics. Rice has some value, but Tulane is worth less than KU without any good athletics, so I'm not sure how Duke is Tulane with Coach K.
I still think it is a long shot that Florida State and Clemson leaves the ACC. It would be ideal to add FSU, Clemson, Ga Tech and Maryland to get to 14 schools. I don't know if that will happen. In some ways the ACC was smart to expand to 14. Losing two schools is no big deal. The conference championship is retained and there are two Big East schools (Rutgers and UConn) who could maintain the academic profile and replace any departing school. We really need to wait to see how the college championship format plays out. I could see that pushing Notre Dame to join a conference. I suspect if that happens, they will join the Big 10 and that will force them add at least one and possible three more schools. These schools probably will come from the ACC (Maryland, Ga Tech, Virginia, UNC). That could be the event that triggers Florida State and Clemson (and maybe other to leave). I can't imagine any school turning down an opportunity to join the Big 10. I prefer the Big 12 get back to 12 schools but see no reason to do so unless they can get a large state university like Florida State or Clemson. TCU never should have been invited, but it was a deperate time last year. I don't understand all the love for Louisville on this board- remember, it's not about basketball!!! LVille might be a candidate to be the 16th B12 team in case the BE and ACC implode. But, there would probably be better candidates depending on what the B10 and SEC do. I agree that if the B10 gets ND, it'll take 3 other ACC schools. UNC for sure and probably Duke. (I know Duke brings nothing to FB, but UNC is the prize out of the ACC and the UNC alums would probably riot if they ditched the Duke rivalry.) That would leave No.16 for MD or Va. The one that doesn't get picked goes to the SEC with Vtech. I have no problem with TCU since they are squarely within the geographic footprint and it gets us a game a year in recruiting hotbed Dallas/FW. Also, when you look at their historic football success, they are probably a better get than, say, Baylor. But balancing them out with an FSU would be fantastic and really push things to the next level. I think if we picked up Louisville and Kentucky, they would finally be in the same conference and boost their rivalry even more and add a rivalry between two great coaches in Self and Calipari. Huge money for the big 12 and the schools involved. But the question at hand, is kentucky happy where they're at? Now, that will boost basketball but are Lousivlle and Kentucky going to contribute in football as well? That's why I think 16 teams may be a good option, so we can pick up Florida St, Clemson, Georgia Tech, and Rutgers, all of which have tradition and will bring competition to football. Seems like alot but could very well be possible. We can change our conference name to the Big MACC (big midwest atlantic coast conference). Why would Kentucky ever considered leaving the SEC? Remember it is about money and football. UK probably feels very fortunate to be in the SEC. The SEC will probably get $5-10M more per year than what the Big 12 will get so there is not reason for any school in the SEC, Big 10 or Pac 12 to ever consider jumping to the Big 12. Why is Florida State considering a move? Money- maybe up to $10M/yr more in the Big 12 when 3rd tier rights are considered. Again, I do not understand the love for Louisville. It's metro area is about half the size of Kansas City and within the Metro area, it is arguable that UL is more popular than UK. There is not alot of additional TV's that can be brought it. No one salivates over a Louisville- Okla State football game. It would definitely improve basketball, but this is not about basketball. I know it is hard for some people to accept that. "But the question at hand, is kentucky happy where they're at?" I'm basically saying Kentucky probably wouldn't leave their conference. And this was just what I would like to happen, not what I think would happen. People like you that take this too seriously and should consider trying to get paid, otherwise you're wasting your time posting on these sites. It's about opinion not what you KNOW is going to or not going to happen. Because truthfully, no one has a bit of a clue what's going to happen here. Not even the conference commissioners, AD's, or coaches. I'm sure your opinion is about as likely as anyone elses anyways. Thanks for the response, but please try to be a little more educated when responding to my posts. I did not mean to come across as critical. To answer your question, I think Kentucky is very happy where they are. To me, any school currently in the Pac-12, Big 10 or SEC is secure, happy, and prosperous and in this era, that is saying alot. UK and KU are very similar (great basketball, weak football). UK has not suffered through the emotional roller coaster the last two years that KU has. Think about how fortunate someone from Washington State, Oregon State or the Mississippi schools must feel compared to some of the unwanted Big 12 schools that have much stronger athletic programs. I agree. And like you said it's all about money and that's inevitably what it will come down to. When Bowslby steps in June 15th we will know how much he is willing to offer other schools and that's when we will see things happen. Heck, we could end up with Duke and UNC in the big 12. You just never know. There should be a state law against public university employees discussing something as critical as conference affiliation behind closed doors. Make it a felony punishable by jail time. How can public employees move a public entity with no input by the taxpayers and without the taxpayers potentially even knowing? The mere fact that these discussions are going on in secret is a huge sign to me how dirty and sordid the whole affair of college athletics have become. These aren't corporate mergers - they are public institutions. Well I think the problem is the relationships that many athletic departments have with schools. Although the President of the University ultimately has the final say, because athletic departments walk a fine line between being a private corporation with a public tie in (KU Athletics for example is the Kansas Athletic Corporation) they can get away with a little more outside of the public eye. I think what we have been seeing is athletic departments using their "unique" set-ups to conduct business before they actually bring the Presidents/Chancellors into it all thus keeping it from going public too soon. This is why often times we see a school President saying they are committed to said conference (ALA Misery) and then jumping later when the athletic corporations fill them in on the details. AKA I think that many presidents who are required to release certain information are actually being kept in the dark at first in this. 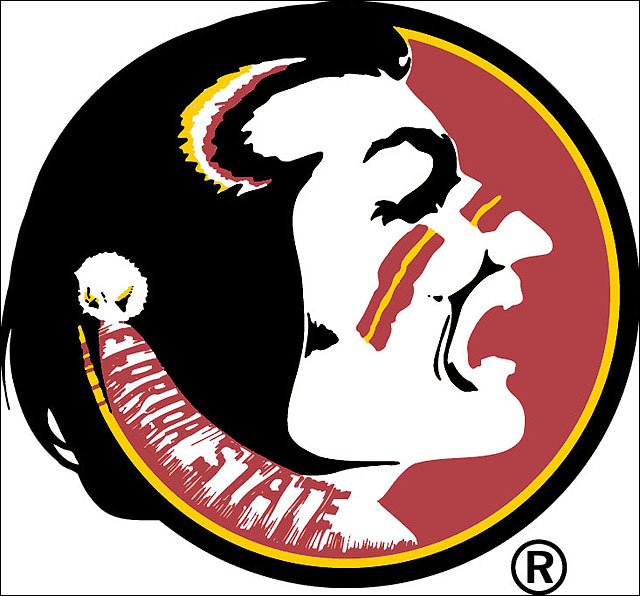 Florida State? That's ridiculous. Can't we be the one conference who actually cares about our STUDENT-athletes? Florida schools mean a ton of extra travel and even less time in class and studying. FSU would be a detriment to every single student-athlete in the Big 12, including Seminole students. I agree with poet008's statement, "These aren't corporate mergers - they are public institutions." It shouldn't be all about money in the first place; we have a generation of talented kids to educate, not a group of a few rich people to make richer. Midwest, Midwest, Midwest. Even the NHL is CUTTING DOWN on travel time, which creates big, local rivalries in the process. Have you ever posted a list of contacts for people concerned about these negotiations to write? I think it would be good for chancellors, regents, coaches and administrators to hear from students, alumni and the public, rather than just those rich folk trying to get richer. Well outside of Louisville there really are no more schools that fall into the "midwest" are that are truly viable candidates. After Louisville the only other schools close to the old conference footprint that would even consider leaving their current conferences are more Texas and Oklahoma schools or Cincinnati (who while geographically logical is not logical in that they add nothing other than numbers. This is the main reason we are seeing so many conferences going "East" in their attempts to expand as that's where the viable schools are. What does FB or BB have to do with education? No one is forcing student athletes to join conferences with far-flung destinations. If they want limited travel, there are plenty of "bus trip" conferences, e.g. the WCC and Big West, who will be more than happy to oblige them. 1. If Bowlsby is not the "acting" President of the Big 12, what stops him from contacting FSU (or has stopped him?) as a third party? 2. I don't necessarily agree that Clemson has to be second. As far as football is concerned, Clemson leaving would be the 2nd or 3rd (VT or Miami is debatable?) worst team to lose out of that conference. You lose one of your better programs plus South Carolina as one of your markets. Wouldn't the decline in competition force Florida State to then move? I see either of them leaving as the death knell, do you not? 3. If Florida State wuss's out and stays put, or the SEC steps in and grabs them, does the Big 12 go after Georgia Tech and Clemson? I would think right now we would be actively trying to destroy the ACC to ensure we are one of the four surviving conferences. 4. Are we already loading our guns and are just waiting for the final touches on the four team playoff? 5. Why isn't ESPN covering more of the four team playoff talks? Are they scared? Matt, can we call you Taiter Salad? 1. Dude from WVU said that Clemson will go first. Dude has been the voice of reason on realignment for the past 6 months. I believe in Dude. 2. Even if FSU get their Tier 3 Rights back from the ACC, they are still in the ACC. Kiss the thought of playing for a National Championship away. An undefeated season in the the ACC with the Strength of Schedule (SOS) will not get them past one-loss teams in the B1G, Big12, SEC and maybe even the Pac12. Particularly if the ACC loses any or all of VT, GT, Clemson, or Miami. Who will be their "strong" victory? North Carolina, the players that are not on probation? My friend, you are way off-base. Follow the money. The Big12 is safe. It's not going anywhere. None of the Big12 schools would leave the Big12 for the PAC12. The B1G, SEC, Big12 and PAC are all safe. The ACC and BigEast are endangered. The B1G, SEC and Big12 will pick over the ACC and take what we need. The ACC will rebuild to be a Basketball First Football Second conference. There will never be an ACC team in the BCS Championship. All ACC football schools will leave or convert to a basketball-first school. FSU, Clemson, VaTech, GaTech, Miami all will leave the ACC. The BigEast may just go away. The PAC12 will remain the same. There isn't any other football schools west Colorado that makes sense to add. BYU? Boise State? UNLV? San Diego State? All NO! The big question is which ACC schools go where. You are thinking of expanison with a 20th century thought process. Geography isn't a factor anymore; it's all about TV viewers. More viewers = More Money. And you see the Big12 as they were two years ago, as a victim. They are not the victim this realignment round. They are the big winner. We view the facts differently. I see the future of college football. You look at the past. I think my view will prove to be more correct. Time will tell. Guys, I don't like Duke anymore than the rest of you, but questioning their worth is kind of assinine. Would the Big 12 take Cal-Berkeley or Stanford? Ehh, yeah. Duke is worth twice the money in research dollars than the entire Big 12 TV contract with ESPN and Fox. Not one year of it for one team, the ENTIRE contract. When somebody that rich asks to join your fraternity, unless they are just a monstrous a$$hole, you let them in. Let's say FSU and Clemson decide to jump ship and join the Big 12. This will obviously cause some concern in the ACC and what if Pittsburgh decides it may be best as well to leave and they try to get into the Big 12. It is my understanding that the Big 12 was going to go after them before they announced they were heading to the ACC. Go ahead and add Louisville and that brings you to 14 teams. Now, the Big 12 has added 2 good football programs (FSU & Clemson) and 2 good basketball programs (Pitt & Louisville). Sounds pretty good to me. Of course, I realize that if FSU & Clemson jump ship there may be better schools to pick from then Pitt & Louisville. And I know, I know...its about football NOT basketball but the thought crossed my mind and I thought it was a pretty good deal. Why Louisville when there is Maryland knocking at the door. The Baltimore/Washington DC/Northern Virgina markets are covered by VATech, Virginia and Maryland. It makes no sense for one league to take all three or even two of the three. Adding the same TV viewers twice is still only one in TV viewer math. Therefore the value of the the three teams is highest when one team goes to the SEC (VATech), one team goes to the B1G (Virginia) and one team goes to the Big12 (Maryland.) Which would you rather have? Louisville? or Maryland? Even with the ugly uniforms, Maryland is a much better pick. Louisville will land in the rebuilt ACC and be a basketball-first school. Good thoughts. Maryland would be a good add as well. If we were going to expand the Big 12 to 16, who would be our ideal targets? I'm open for debate on this, but you have to explain what your first criteria is. For example, mine would be for adding populace to our regional television coverage. We'll assume, for sake of argument, that the ACC implodes and all of those teams are up for grabs. Miami to replace Florida State, Duke and UNC to replace anybody else, and Clemson could be inserted. We would go from being a Texas top heavy region to really having a presence in most of the top ten states by populace in America, and with prominent teams in those states. Now, assuming the ACC were to be plundered, who in that original six is absolutely "ungettable?" Virginia maybe, but if they are forced to drag VT with them the B1G is out. I still think the SEC would add Duke and Carolina to hit 16 before adding VT and UVA. Point being, that list is not as far flung as it seems IF the ACC can be imploded. I don't see where the ACC has much leverage. Some on here say to make concessions and give 3rd tier rights to FSU. If they were to do this wouldn't it decrease the amount of overall payout to all other schools considering it consisted of all 3 tiers? I doubt other schools will take a very sizeable cut to keep FSU happy. The latest board talk is that the Big 12 will make some sort of announcement later today. Most are thinking it will be "We're happy not expanding" just like the SEC did before taking two, to keep the lawyers happy. Others think it will be about the TV contract. ACC boards are now debating if the ACC can survive the raids by the Big 12 and SEC, and the consensus is yes - they'd take more teams from the Big East to do so. But they don't think the B1G will expand; if they did, that could push the ACC to merge fully with the Big East, IMHO. My current guess is that FSU isn't ready to jump today. But after the championship playoff rules are set in late June, a lot could happen very quickly before July 1st when conference contract provisions often set in. A WVU site is reporting that the announcement will be an agreement with the SEC on a post-season bowl game. One similar in concept to the Rose Bowl between the B1G and PAC12. A step in the right direction toward the final-four FB playoff conferences, and that the Big 12 will be one of them (and not the ACC; FSU, Clemson, GTech, UMd, VaTech, and Notre Dame du Lac, are you paying attention?). I live in Tampa and the sports radio talk here has been FSU and Miami to the Big 12 as a package. It would be a huge get for the Big 12 to have both schools from this heavily populated and football-crazed state. According to folks here, the two biggest obstacles are 1) the ACC will without a doubt try to sweeten the offer to FSU to stay. But the thinking is that won't be enough. The ACC is considered weak in football and one that caters to the North Carolina schools for basketball. 2) The SEC may preemptively move to get FSU and Miami. Historically, UF has always blocked any effort by FSU to join the SEC, but when faced with the possibility of losing 2 of the big 3 Florida schools to an alternative strong football conference, they may move to prevent it. If indeed FU and Miami go to the Big 12, I gotta think Notre Dame may start reconsidering their independence and possibly join them. It's an interesting situation for sure, however, I wouldn't be surprised if the SEC instead decided to expand footprint and grab VA Tech and NC school. Also, like many have said the if the Big 12 truly wants FSU they could actually take Clemson first (one of the few good football schools in ACC) thus making the conference worse, which, might be enough to sway FSU. However, I do think in the end this is all FSU pulling a UT and just pandering to get what they want from the ACC. You are right. I think the SEC is not going to expand unless they get more TV markets. I would not be surprised to see NC and UVA. I don't think they'd take VTech. IF they would take tech I see UVA going to the Big with Maryland, ND and perhaps Rutgers. So, FSU, Clemson and Ga Tech are a pretty decent bet for us. Perhaps VTech. Miami is supposedly not interested but I see them as a good possibility as well. Don't think S. Florida should be ignored either. They are an up and comer. So we could easily go to 14 if the revenue works out. Today's announcement makes the adds much more viable. I think Clemson could go first. They might be worred that a GATech will look better to pair with FSU because of the AAU status and better bait for Notre Dame. Or that FSU might ask Miami to join in a package deal. They know if they jump it will give the courage for FSU to jump. Then Maryland, GATe, Pitt and 'Cusech Why risk being left in the ACC if you can go now. Too many unknows to wait. Expansion makes sense in today's TV-Driven world when you add TV viewers. Without new TV viewers to get more TV money expanding means another mouth or two to feed. Adding Miami and FSU does NOT add to the SEC footprint. SEC will NOT take FSU or Miami. The TV money will not increase with FSU. I agree with you the next two targets for the SEC might be the states of Virginia and North Carolina. The two schools that could best deliver those states are VA Tech and North Carolina State. These are the two best football schools in their respected states. No need to expand unless the new team(s) can generate big bucks. 1/10 of $$$ > 1/12 or 1/16. Don't expect any of the Big12 schools to leave the Big12 after they granted their TV rights to the league. They are locked in and not going anywhere. The more I think about the insanity of the geographic changes to our conference, the more I wonder if we'd get used to it easier than we think we could. Think about it. Think of NFL divisions like College Conferences. Many of us here are Chiefs fans, right? 4 teams from......California, Colorado, Missouri? They don't even border each other. And Seattle, Washington used to be in the division back in the day and we just accepted it! I'd rather have the Chiefs in a division with the Cowboys, Rams and Broncos, but hey....guess the almighty dollar rules all. I mean.....how weird is it that Philly and Dallas have a football rivalry, really? They likely shouldn't even play each other or be rivals. Just think how much more money the Big12, SEC, B1G and PAC12 could make if they would sell their Tier 1 Rights together as one. A TV package with the four big football conferences could sell for more than the NFL TV rights.